Running is my most favorite form of exercise. I like getting out and enjoying the weather while I get my fit on. My playlist rarely varies because once I get my sweat on to one song, I want to vibe out to it over and over again, but I really need to expand it. I try to keep the tempo up. There are a few slower songs on here, but I usually listen to those when I'm on a short jog or run for fun. I thought I'd share these songs with you guys because I know that finding great running songs can be difficult. I used to listen to Pandora and hated the constant ads and always having to skip to get to a song I wanted to hear. That's why I've come to love Spotify because I can create a playlist for free and have it continuously play with little interruption. 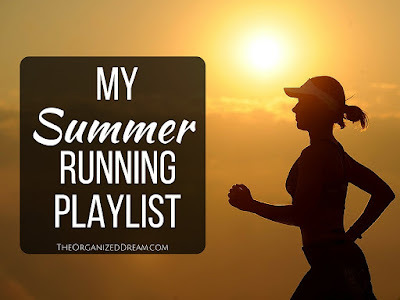 This playlist is 1 hour and 54 minutes long so there has to be something for everyone and definitely long enough even for those weekend long-runs. What are your favorite workout songs? Share them below. I'm always looking for something new!